New Players » Which Server to Pick – PvE, PvP, RP, or …? WoWrealms has a better chart with Horde/Alliance ratios. You can download an addon (you don’t need to) which will allow you to take a census of your server at any given time. Their data is dependent on people actually doing this on some regular basis. So while the numbers may not be perfectly correct, they’re still the best game in town since Blizzard doesn’t give out the real numbers. Notice, for example, that the Alleria server is PvE and has a ratio of 80/20 Alliance to Horde. Amun’thul is much closer to 50/50 and has more people overall. Illidan has a very large population, is almost all Horde, and is a PvP server. I expect that Stormwind and Ironforge are frequently raided on that server. Servers can be PvP (Player versus Player,) PvE (Player versus Environment,) with RP (Role Playing) versions of both PvP and PvE. You can make characters on multiple servers, so don’t worry that you have limited your choices when you select one over the other. You can also make characters of both factions on all servers. For reasons I explain below, I recommend a PvE server (RP or not as you prefer,) for first-timers. During your gaming and questing you will encounter monsters (referred to as mobs) that make up the Environment part of the PvE servers. The beasties and NPCs (non-player characters) with names in green or yellow are not a problem when you walk by them, but those with names in red will attack you on sight when you get too close. Do you want to fight other players? On all servers you play against the Environment and you can also participate in Duels and organized PvP contests in specific arenas and locations. However, on PvP servers you are also fair game to players of the other faction, once you get out of the starting areas. 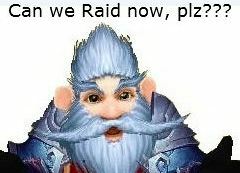 Horde can attack Alliance and Alliance can attack Horde. PvP servers do lend an added dimension to the gameplay danger that is enjoyable … if you have a high-level character and excel at Player v Player fighting. However, this can be difficult and frustrating for new players. It is unfortunate, but on PvP servers, high-level players enjoy visiting low-level areas of the opposite faction and slaughtering the unfortunate lower level players who cannot possibly survive their onslaught (a level 100 player might as well be the God of Death to players just a few levels lower, much less those who are a lot lower level .) Sometimes they lie in wait for the player (new or otherwise) to return to his corpse and kill him again after he resurrects, often multiple times. This can wreak havoc with leveling and make gameplay somewhat less than enjoyable. Sometimes a character of about the same level attacks. This is much more interesting if you’re quick enough on the draw to respond properly. On PvP servers there is no way to opt out of PvP fighting. You are only safe from PvP fighting inside instances and in friendly territories, such as the starting areas and capital cities (unless you attack an opposing faction player first, or type /PvP.) For this reason, if you are brand new to gaming or WoW, and particularly if you have never done PvP gaming before, I highly recommend a PvE server for your first experience. RP (Role Playing) servers allow people the opportunity to really live the game, especially if they come from a table top game, such as Dungeons and Dragons. Some people love to really get into the whole experience and role play their characters to the hilt. Generally you’ll find them congregating in towns or inns, but not everyone stays “in character.” You do not have to role play even if you are on an RP server, so do not be put off by the designation. However, you are expected to respect the rights of those who wish to role play by avoiding chat or character names that destroy the role-playing ambiance. Naturally there are those who ignore these “rules,” but it RP is your game then this is your server.